Recipes from The Biggest Loser are spa-style healthy, fabulous and filling. 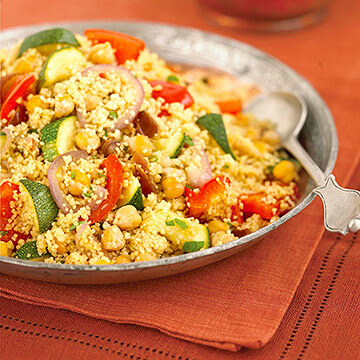 Here are three lose-weight recipes that are easy to add to your own food repertoire. Add all ingredients to a blender. Whirl until smooth. 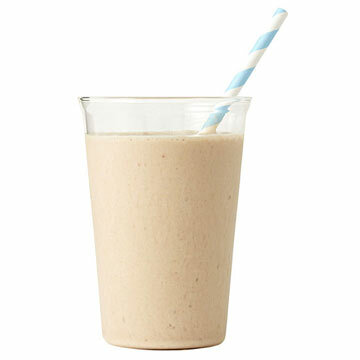 Writer's Note: This scrumptious smoothie calls for my new pantry staple, PB2 (amazon.com, $11). It's powdered peanut butter that adds intense peanut flavor but with almost 85 percent fewer calories from fat than the typical spread. The recipe yields two satisfying drinks—one each for me and my peanut-butter-loving husband. Dissolve sugar in vinegar. Mix with carrots, cucumber and onion. Season with salt and pepper and refrigerate for 3 hours. Spread 1/4 cup of the hummus across each tortilla. 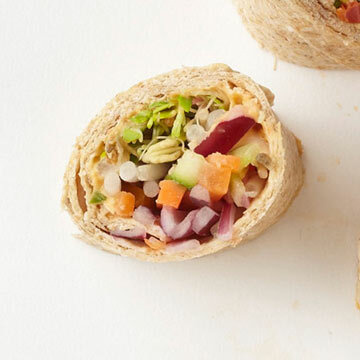 On bottom third, add half the marinated vegetables, top with half the sprouts and roll up. Square ends and cut in half. Writer's Note: Hummus is easy to make, and you can refrigerate what you don't need for the wraps in an airtight container. But if time is short, store-bought works too. 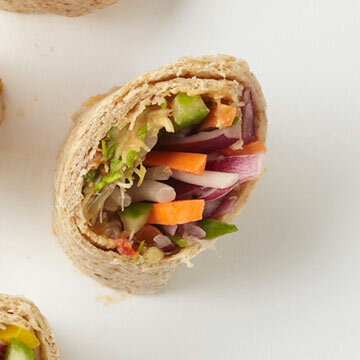 Neither my husband nor I are typically fans of sprouts, but this sandwich makes for a lovely lunch. Place all ingredients in a blender. Whirl until smooth. Make sure to scrape down sides of blender pitcher to get any lumps. Combine all ingredients except chocolate chips in the bowl of a food processor and whirl until smooth. Remove dough from food processor to a mixing bowl. Stir in chocolate chips. Using a 1/4-cup scoop, portion out dough into 11 rounds on baking sheet. Lightly press down on cookies to flatten. Bake at 350°F for 13 to 15 minutes. 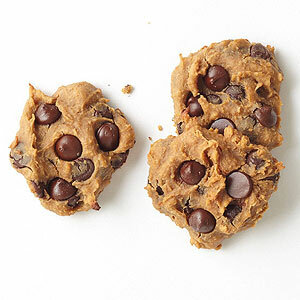 Writer's Note: For times when only a cookie will cut it, try a flourless chocolate chip version made mostly with protein- and fiber-packed garbanzo beans. Will it be the best cookie you ever had? Doubtful—but it will help get you over the hump.